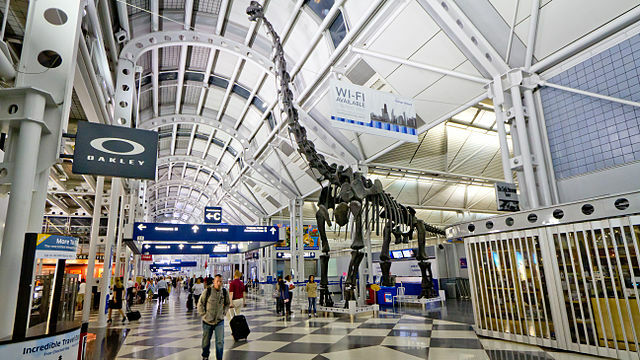 Chicago O’Hare International Airport. Photo Courtesy of Nicola at Flickr. In order to maximize attention to their working conditions and wages, employees at O’Hare International Airport are threatening to strike during the busier than usual Thanksgiving weekend. The workers are not in a union, but are being organized by the Service Employees International Union Local 1. Airplane cabin cleaners, baggage handlers, wheelchair attendants and janitors voted on whether to strike over a two-day period. In an all-but unanimous decision of 499-1, the workers voted to strike, according to union spokesperson Izabela Miltko-Ivkovich. There are an additional 1500 workers at the airport who did not participate in the vote.